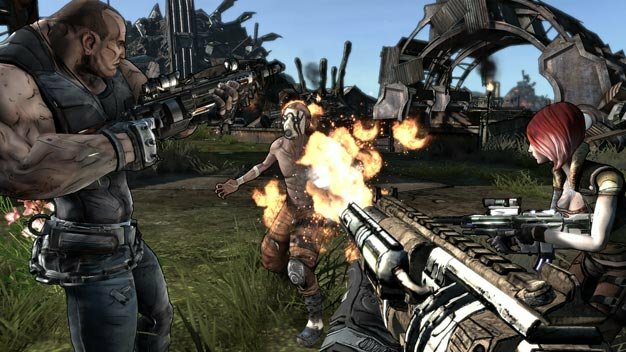 Following reports of the game selling out at retailers, Gearbox has declared Borderlands to be the fastest-selling new intellectual property of the year. “The fastest-selling original property video game launch of 2009,” as they put it. No numbers were provided but the NPD data from October shows that the game sold through just over half a million copies — 418,000 copies on the Xbox 360 and 113,000 on the PS3 — in the US since its launch on October 20. The company plans to support their success of a game with downloadable content, the first of which, The Zombie Island of Dr. Ned, has been announced for a November 24 release on both the PS3 and 360, with the PC version following at a later date.